Early Childhood Education is defined as education for kids between birth and eight years old. Education experts state that the more prepared a child is for the kindergarten classroom, the more likely their education will be a success through high school and beyond. Classroom preparedness is measured by knowing the alphabet and having base knowledge to be able to begin to learn to read. It also includes being able to interact positively in the classroom and understand what is expected of them. Despite a national trend in states investing in early education, there are many misconceptions about state-funded preschool and what government funded early education programs can and should look like. For example, even though 44 states offer some form of state-funded preschool, there is no universal preschool in the United States. Most government funding is dedicated to preschool accessibility for low-income families. In most places, this means that funds benefit only 3 percent of 4-year olds in the area. Apart from funding, there are also disagreements on what preschool and other early education programs should cover. While many parents want their kids to focus on academics early in life to get a “head start”, psychologists and educators stress the importance of balancing education with play, since many 0-8 year old students are better equipped to learn when some measure of play is involved. Too much focus on academics and test scores can cause undue stress and negative associations with learning and school in general. According to the Hechinger Report, a non-profit news organization focused on education, Idaho is one of six states that put no funding into pre-school programming as of 2017. Certain municipalities have preschool programs supported by grants and private funding. Idaho City has used several funding sources to support a $40,000 (annually) program that provides free preschool to 4 year-olds in their district. Caldwell is working on expanding their preschool offerings for developmentally delayed children, as is required by federal law. Boise has a couple of schools offering free pre-school to low income families. These programs all rely on tenuous funding sources, despite resounding positive feedback from parents and community members. Since pre-school is not a requirement in Idaho, it is often lumped with daycare and other childcare when it comes to legislative discussions. Local governments do have the right to establish their own regulations with regard to child care. When preschool and daycare issues do make it to the state legislative table, they are often sidelined. In 2011, several regulations were passed on childcare providers, which were later eased because of legislator’s dislike for regulations and feelings that parents should take care of young children in the home. Despite these setbacks, more legislators in Idaho and nationwide are acknowledging that not all parents have the resources to stay at home with their children, and there should be standards that help keep children safe in preschools and daycares. One challenge to offering quality preschool education is finding educators. Preschool teachers in Idaho often make minimum wage, though they can qualify for student loan forgiveness if they work for a non-profit entity in early childhood education. Since many preschools are half-day, full time employment can be hard to come by. Half-day offerings also challenge parents who must find childcare the rest of the day. Some facilities are combined preschools and daycare centers, but lack of consistency in regulations make accessing the quality of these organizations difficult. There are some licensing requirements, but parents must do a lot of research into what the state standards do and do not cover. What Can Locals Do to Help? 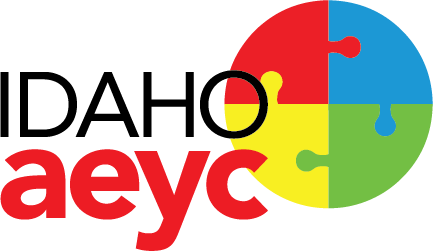 There are lots of local Idaho organizations dedicated to improving early childhood education. One of these is the Idaho Association for the Education of Young Children, which advocates for regulations in preschools and daycares, and helps secure funding for programs that provide books and food for young children, particularly during the summer. As with most local issues, one of the most important things you can do is let your voice be heard. Talk to your elected representatives about your concerns about early childhood education. Attend school board meetings. Organize with other community members to find out what options your district has, and where you can help. Many districts are already applying for grants to provide more resources for early education. See if yours is one of them. There are also private programs that encourage early childhood education, like library summer reading programs, summer camps, community youth programs like those offered by the Caldwell Y, and more. These are supplemental, but important, especially for families that do not have access to preschool. Do you know of Idaho initiatives to improve early childhood education? Share in the comments! Jeriann Ireland was born and raised in Nampa, Idaho. After a brief stint in Portland for college, she returned to live in Nampa and work as a writer in Boise. You can find more of her writing at dairyairhead.com, or follow her on twitter.